Sign Warehouse Ltd., open its doors for business on September 1st 2004. The Company Directors Cormac Rogers and Frank Mulvey have worked extensively in the industry from leaving college and in 2004 they availed of an opportunity to form their own business in a growing market. Sign Warehouse employs the latest technology in its production facility and has been innovative in how it goes about business ensuring that the Company offers the customer a wide choice of design and signage options. Sign Warehouse reputation is growing on a daily basis simply because of quality, and our client’s confidence in the Company is the cornerstone of our work. Our creative work combined with an honest and genuine work ethic and attention to detail has seen our business grow nationwide, and our clientele now includes some of the largest retailers in the country. 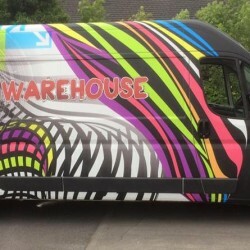 Sign Warehouse was originally based in the Drumshanbo Enterprise Centre, and in 2008 acquired its own business premise. The new business unit was designed to facilitate the latest technology for our design team and the manufacturing end of the business and this has allowed Sign Warehouse to expand into other areas of the market. The Company Directors Frank Mulvey and Cormac Rogers drive and energy together with a dedicated, creative staff are dedicated to supplying a cost-effective product to suit the needs of the client. The range of design and product covers a wide fiscal area, catering for all from simple inexpensive solutions to high-end technically advanced products. In short, no brief is to complex or too simple for the Company to cater for.